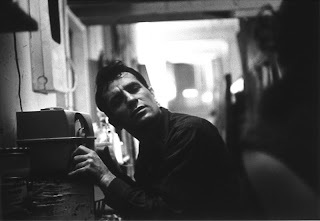 Details on the adaptation of Jack Kerouac's On The Road are taming my skeptic side for a few reasons. First off, whenever there's a Coppola is involved, integrity and intent are sure. He's owned the rights since 1979, and Francis Ford Coppola has reworked and shelved this project many times– its 31 years later that the project will finally come to life. Meanwhile, Brazilian director, Walter Salles (Motorcycle Diaries, To Each His Own Cinema) has taken preparatory measures of his own by road tripping across the United States on the same route as Kerouac and his beatnik follies-- a trip that will take its own life in a separate documentary. The literary mastery and autobiographical journey of Kerouac and the Beats brought to life? If anything, the film can return some authenticity to the hipster with historical merit and the background of where it all began. (And how timely, just as American Apparel descends into bankruptcy.) On a side note, who has the rights to Naked Lunch? What a thought: I imagine Clockwork Orange meets Pink Floyd's The Wall.... hmm. Perhaps one best kept under covers.